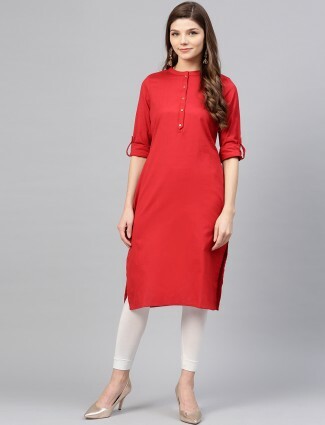 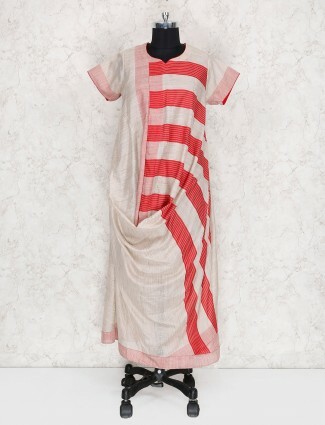 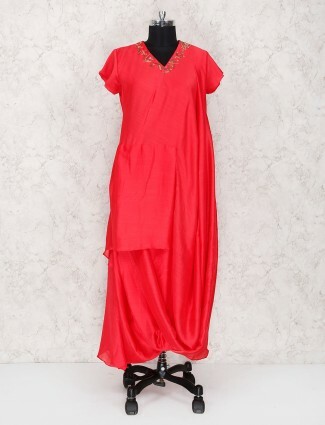 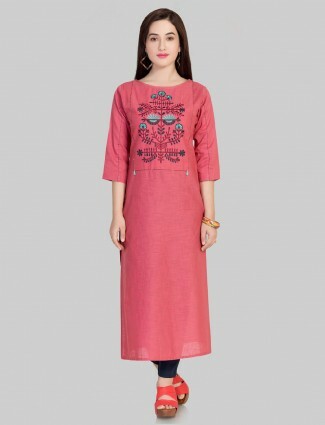 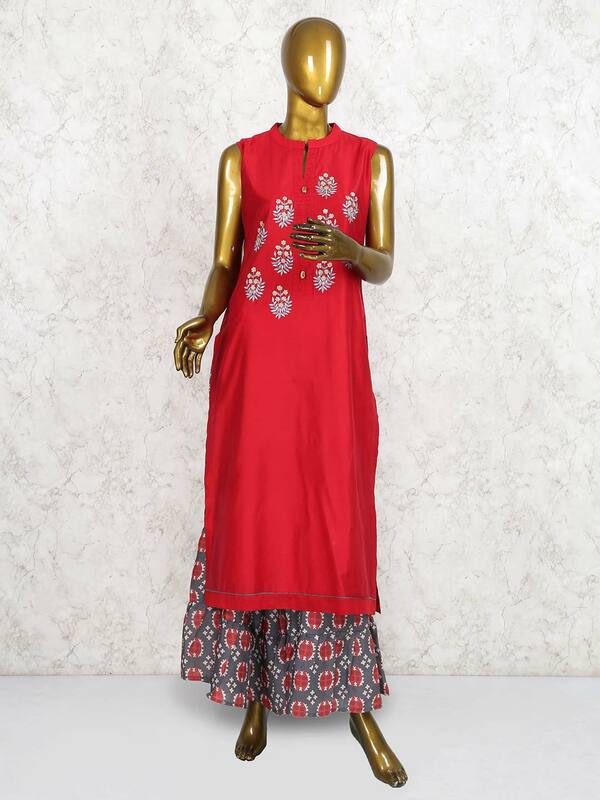 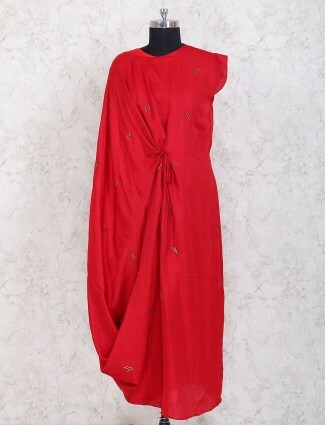 You look dashing by wearing this red colored festive kurti set. 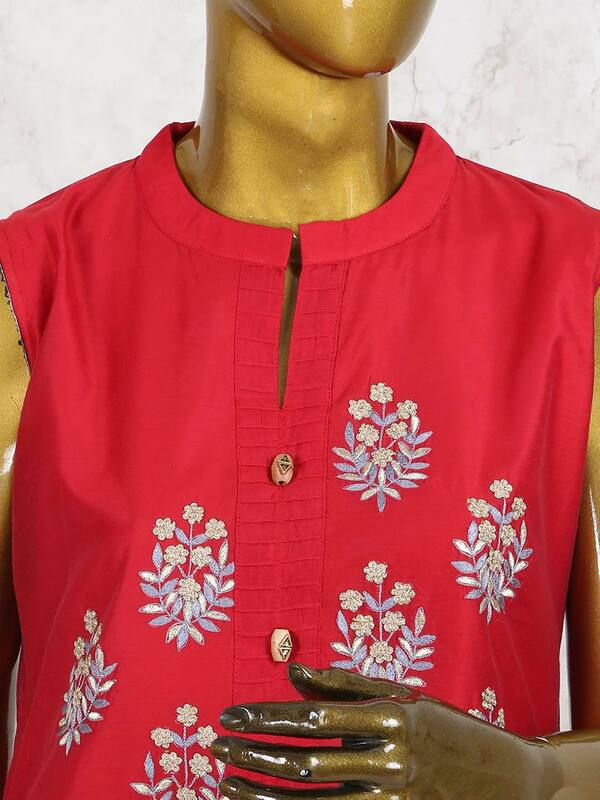 Embellish with zari and thread work at front. 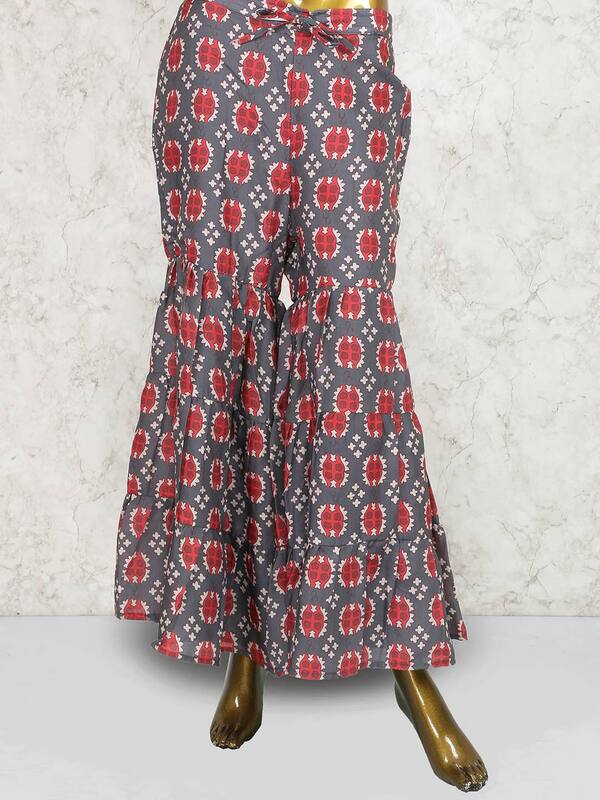 Available with sharara bottom.